Opinion: Is China really a Communist state? 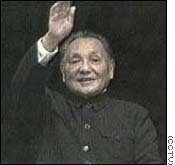 (CNN) -- Communism in China can be roughly divided into two separate phases, one "the Mao era" and the other "the Deng era." 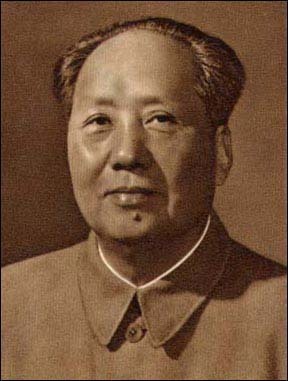 In some respects, Mao and Deng were different in their means, modes and methods of rule. Deng, for example, allowed for much greater economic liberalization than Mao, and it has provided for advancement and a rise in the average standard of living. On a more fundamental scale, however, the two eras differ very little. The nation has remained consistently under the absolute control of the Communist Party. Today's rulers clearly and continually maintain that they have no intention or inclination of giving up totalitarian control of the Chinese people. Despite this totalitarianism, the spirit of those who long for freedom and democracy persists. 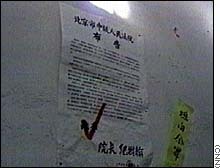 Some people have taken a stand for freedom in events such as the Tiananmen protests of 1989, in the formation of political dissent groups such as the Chinese Democratic Party, and in religious activities by such groups as the Falun Gong sect and the underground church. Because of their beliefs and convictions, these people face oppression and serious infringement upon their basic human rights. At the core of such human rights abuses in China today lies a systemized mechanism known as the Laogai that exists for the purpose of crushing human beings physically, psychologically and spiritually. This system of at least 1,100 known forced-labor camps is driven by hard-line ideology, Communist Party directives and the whims of local cadres. It is designed as a repressive mechanism to control and, in effect, eliminate anyone whose political, religious or societal views differ from those of the Communist Party. The Laogai is not simply a prison system; it is a political tool for maintaining the Communist Party's totalitarian rule. A fundamental policy of the Laogai states that "forced labor is a means toward the goal of thought reform." Communist economic theory maintains that human beings are the first and most basic productive force of a nation. Prisoners of course are not excluded. They must be utilized as part of this productive force and must submit to Communist authorities. Submission is often achieved through violence, but psychological and spiritual submissiveness known as "thought reform" is considered the optimal goal. As the Laogai crushes the human spirit and often tortures the human body, it also becomes an integral part of the Chinese economy through the sale and even export of products made in forced labor camps. Prisoners who receive the death sentence in China also become potential resources of government profit through a policy of organ harvesting known as the "provisional regulation on the use of executed prisoners' corpses and organs," which was passed on October 9, 1984. 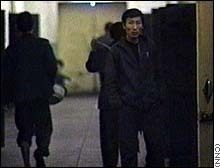 Chinese officials admit that by 1996 around 20,000 kidneys already had been harvested from executed prisoners. The party, judicial and penal officials and even doctors perpetuate these inexcusable crimes through propaganda claiming "concern for the welfare of patients needing transplants" and "productive use of an otherwise wasted resource." Throughout history, countless despots have killed millions for political, religious and racial offenses. In massiveness of scale, number of victims and cruelty of methods, the atrocities of the Chinese Communist authorities are no less significant and repulsive than those of any despot, including Hitler, Stalin and Pol Pot. Moreover, the Chinese Communists do what no other regime has done with its program of organ harvesting. History scornfully remembers the crimes of Hitler in Germany and of Stalin in the Soviet Union. In China, a system exists today that is strikingly similar to those of Hitler and Stalin, and it is the Laogai, the world's most extensive system of forced labor camps. Do you agree with the opinion you just read? Tell us your thoughts. We cannot condemn the evil actions of the Nazi concentration camps and the Soviet Gulag while we ignore the continuing brutality of the Laogai. The Laogai is the barrier for all those who strive to promote human rights and democracy in China. Most of the human rights abuses that are reported in China today occur in the Laogai. If you disagree with these human rights abuses you must confront the Laogai. If you wish to effectively promote human rights and democracy in China and to rid China of communist totalitarianism, you must also condemn the Laogai. Harry Wu, executive director of the Laogai Research Foundation, is a native of Shanghai and an activist for human rights in China. He spent 19 years in Chinese labor camps between 1960 and 1979 and became a U.S. citizen in 1994.